Response: After attached character is wounded, destroy that character. 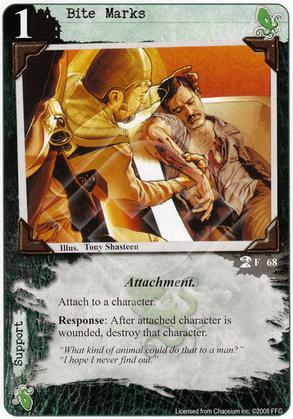 Flavor Text: "What kind of animal could do that to a man?" "I hope I never find out."